Marshall, Michigan - The National House Inn bed and breakfast. The Inn was built in 1835 and is believed to have been a stop on the Underground Railroad. 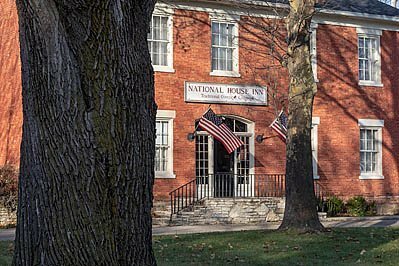 Image Description: Marshall, Michigan - The National House Inn bed and breakfast. The Inn was built in 1835 and is believed to have been a stop on the Underground Railroad.